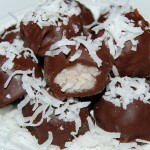 Recipe by: Glenda Snook - These candies make a great gift for any occasion! In a large bowl, mix confectioners' sugar, coconut, vanilla and mashed potatoes together and roll into 1-inch balls. Refrigerate for 1 hour. Chocolate Coating: Melt chocolate chips, chocolate squares and paraffin in a double boiler. 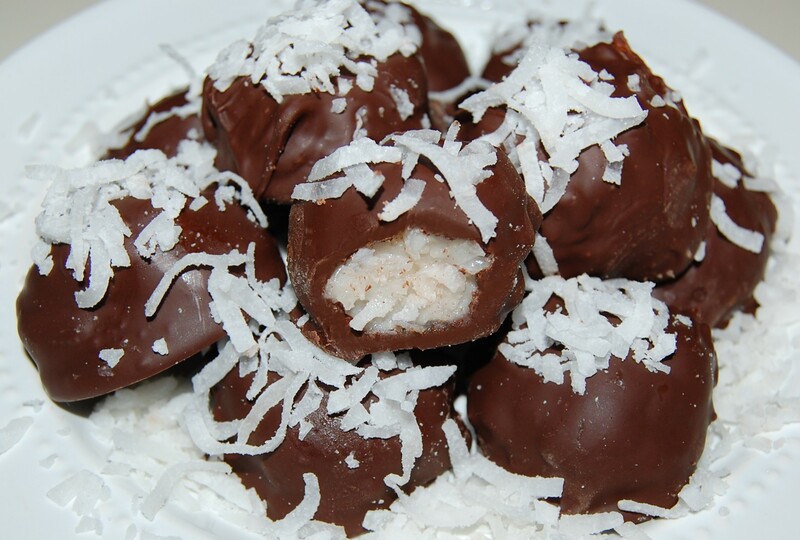 Dip coconut balls in chocolate mixture and place on a cookie sheet lined with waxed or parchment paper. Sprinkle the tops with coconut if desired. Refrigerate candies. Cook's Note: You can use 2 ounces of Wilton Candy Melts instead of paraffin.